Nibris, a game studio based in Cracow, Poland, is getting ready to release a game titled Sadness for the Nintendo Wii. Set in Europe during the 1910s and presented entirely in atmospheric black and white, Sadness is a psychological horror game for adults. 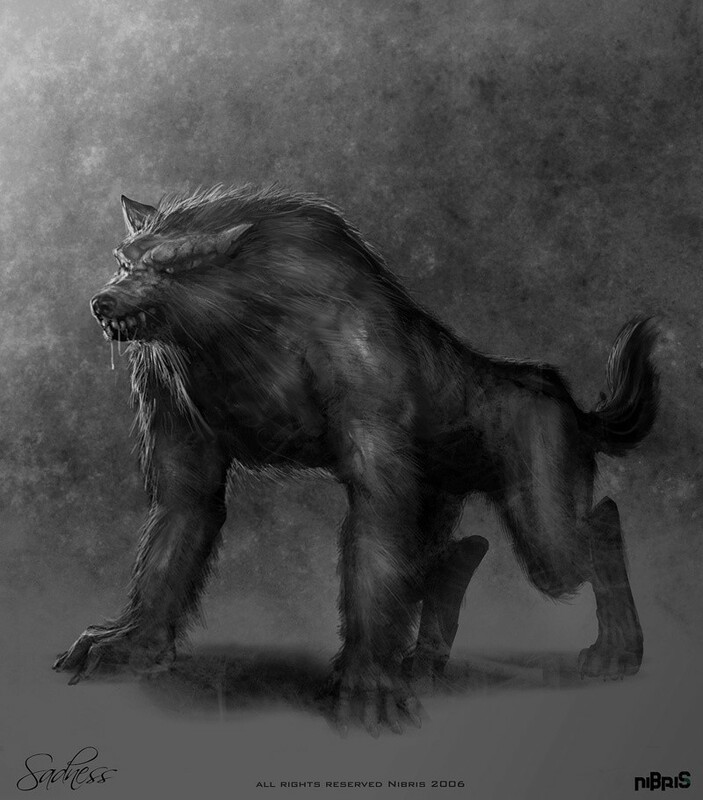 According to concept art and comments made by the game developers, many of the creatures in the game are inspired by Slavic mythology. And what does that mean? Why, that means werewolves, of course! Not much else is known about Sadness at the moment. Game news sites like GameSpot and IGN are maintaining game overview pages that have been largely stagnant since 2006, but yesterday’s announcement by Emergent Game Technologies (who are providing the development platform for Sadness) has stirred up interest and some new information. Players will need to confront their greatest fears and protect themselves in hopes of not getting trapped inside the main character’s nightmare. The game has eight different extreme endings each with their own premise, which are assigned to a player based on specific factors during the game. To compliment the intense gameplay, the Wii-mote and Wii Nunchuk control the main character’s hands so players feel as though they are in the psychological thriller. Watch the game’s official site, sadness-wii.com, for further press releases about what sounds like a groundbreaking game.